You are here: Home > Physics has long been confused about the concept of ‘now’. New insights show that it is fundamental. A sense of Now is the universal human experience. Yet modern physics cannot handle the concept of the present moment. Indeed relativity—our great theory of space and time—insisted on embedding it within a time dimension and then crossbreeding this dimension with three space dimensions to make spacetime. This was a blunder. It blocks progress. Physics needs to accept that Now is real; and then understand why it is fundamental. Spacetime is the product of an unnatural act: blending something that is objectively real—space—with something we subjectively construct—time. Hermann Minkowski invented spacetime over a hundred years ago, basing it on Einstein’s then-new theory of special relativity. He believed it was a deep insight but it is just a gimmick that makes for easy math. It causes physicists to claim our sense of Now is some kind of mass illusion. This may be the world’s worst-ever case of theory overriding observation. 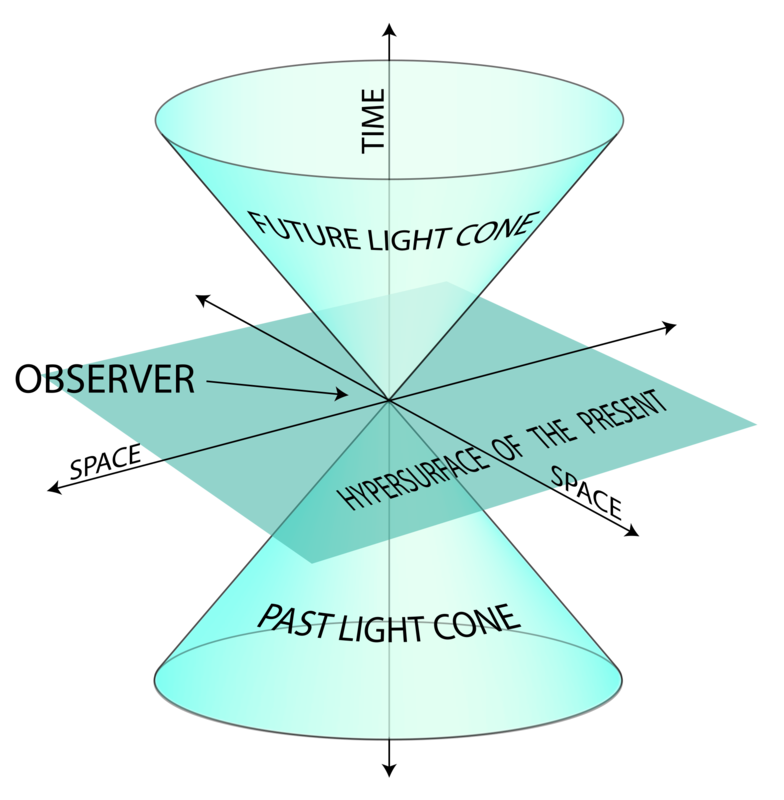 The success of Einstein’s theory is sometimes seen as supporting spacetime but it doesn’t. Special relativity says nothing about space and time. It is about observing moving rods and clocks. Indeed, like other physicists of his day, Einstein viewed space as nothing. To this day ill-informed physicists call it “vacuum”, failing to see what, soon afterward, Einstein saw: that space must be a serious something. We now know (though some physicists ignore this too) that space is, by mass, some seven-tenths of the universe. It is hard for us to think of the universe as a single entity. In 1931, Belgian physicist Georges Lemaître did just that. He projected the universe’s growth backwards to its beginning when, he said, it must have consisted of a single “quantum” or “atom”. Such concepts were little understood at the time. But (as Time One shows), assuming he was right and using a modern string-theory version of that first quantum allows us to explain many seemingly inexplicable phenomena. Lemaître thought his single quantum had an ‘atomic weight … which is the total mass of the universe’ and it divided repeatedly in many steps to yield the world we see. 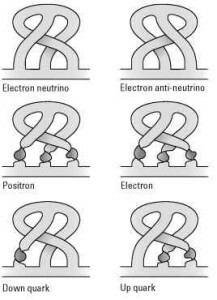 He did not have the advantage of recent work showing how all the particles of matter and energy can be built from simple twist and braid relationships of tiny “ribbons”. If he had he may have realized there was no need for matter to exist in the beginning. The universe began with a quantum of space. This would have given Lemaître a whole new view of the first step when that quantum “divided” (as he said; Time One says it “replicated”) into two. The only way to make sense of what we now know is: Matter emerged after the Big Bang began. Lemaître would have realized too that, at any step along the way, with whatever number of quanta might exist (from one to a very big but finite number), the universe just is. It contains no record of its past; nor can it contain such a record. The relationships between its quanta (of whatever number at any step) encode exactly the information that defines the present universe—with not a single bit of spare capacity. At each step those ribbons physically connect every quantum of the universe to every other quantum in a precise and definite way. 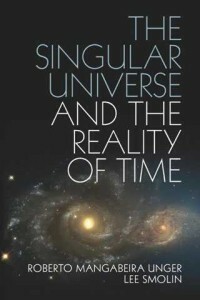 In this sense the universe still is a single entity (as philosopher Roberto Mangabiera Unger and physicist Lee Smolin now urge it should be seen, yet fall short of delivering). We may seem to have strayed far from the question about space and its fraught relationship with time; but on close inspection we have returned to it. The universe is made of space (and its quantum-to-quantum relationships). It is. It knows not of time. 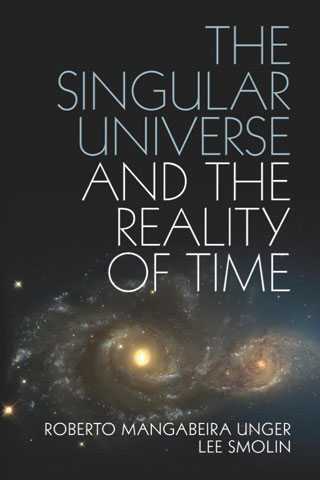 We, inside the universe, track the differences in its successive rearrangements—i.e., motion—by inventing clocks and calling what they tell us “time”. How do we know that it is so? We don’t; nor will we ever. Trapped within the universe we cannot see it as a single thing. But by assuming it is we achieve a vast simplification and explanation never seen before. It is hard to conceive how another ontology could be simpler or more explanatory. The answer for the critic then is: What is your explanation? It had better have fewer assumptions or provide more explanations. So we see Now is not just something that is real; it is all that is real. In the lingo of much of the debate: time not only does have a privileged present, that privileged present is all it really has. Cosmologists have for decades worked with that privileged present as a defining aspect of the universe. But for the great weight of the world’s million-or-so physicists it might as well be written in medieval Japanese. They don’t know it. Many are teachers and don’t teach it. And even most of those who, like Unger and Smolin, work hard at the philosophic forefront don’t quite get it. When they all do, the world will begin to get the true benefit of its long and rich investment in physics: physics that works in terms of (and even explains) the way the world really is—Planck-scale physics. It will require a lot of hard work from the world’s physicists. The integer math of the real world is much harder than the easy math physics took up with more than a hundred years ago. For the rest of us, it’s time to start insisting that physicists get with that change. After all, it’s our investment. The most important question a Physicist should ask is that how does he functions as a physicist and with which or what energy he / she is functioning. Is it the same energy as a common man is functioning or anything else? As a human being who is being born and brought up “in and through” an existing system prior to our birth” we are constrained but to deduce certain logical conclusions by assumptions and presumptions based upon our history of experiences of individual and collective human life on this planet earth doubtlessly confirms that it is an “Evolutionary Process” that have developed the species called human beings, rather, the creation itself is an evolutionary process. Once we accept the life on earth is a process of evolution from one source we can find out how it has been developed and why it has been developed scientifically and spiritually.